Link to multiple app stores with a single QR Code. 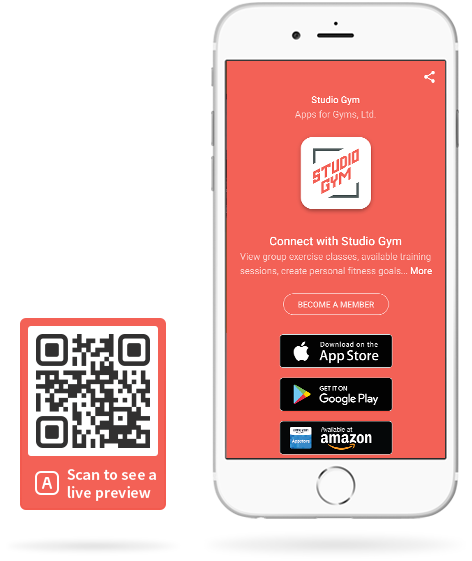 The App QR Code comes with a customizable mobile-friendly page to introduce your app and provide customers with information about its features. Make it easy for customers to download your app by linking to any app store whether to Apple App Store, Google Play Store or Amazon Appstore. From the page, you can also include a link to your video trailer, website or other apps with a personalized button. To start getting downloads, use the QR Code or short URL for print and online ads. When I introduced my App QR Code to the office, we were amazed in no time. Customization let us capture our corporate look, as if we developed the page by ourselves. Need some inspiration? Check out these clever ways to advertise your App QR Code.